According to inside sources in SMRT, 6 staff has been fired for owning up to falsification of the maintenance record despite being guaranteed no penalty would be meted during the “amnesty period”. The staff who came forward are from the facilities management department, in-charge of tunnel ventilation and anti-flood and anti-fire measures. The move by former army general SMRT CEO Desmond Kuek to fire the staff who owned up is an open backstab despite him promising no penalties. On Oct 7, the train tunnels between Bishan and Newton were found to be flooded by rain water after the pump drainage system failed. The pump system maintenance records were later found to have been falsified according to a preliminary investigation report issued by SMRT and the Land Transport Authority (LTA). SMRT CEOs Desmond Kuek and Lee Ling Wee, and the two Transport Ministers Khaw Boon Wan and Ng Chee Meng, refuse to take responsibility of the flooded train tunnel incident, and pushed all blame to SMRT employees for the “lapses”. 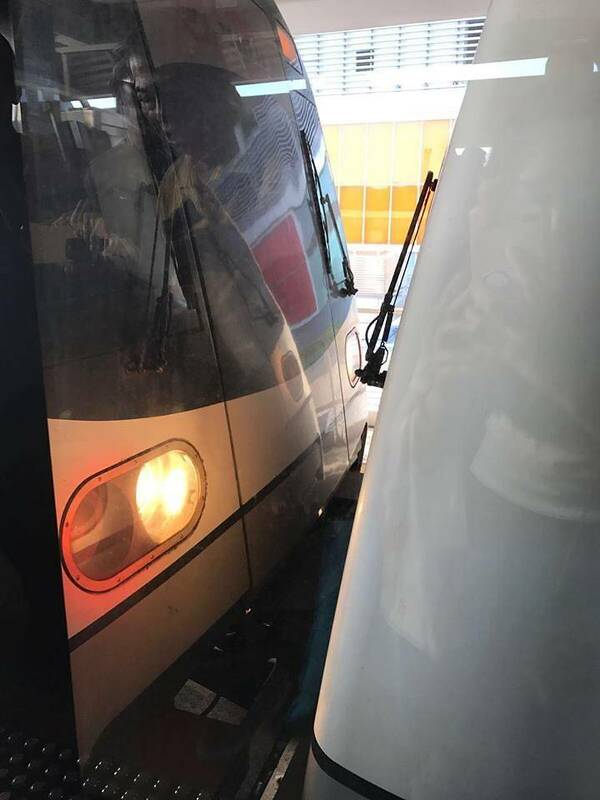 SINGAPORE: Twenty-nine people were injured after an SMRT train collided with a stationary train at Joo Koon station at 8.20am on Wednesday morning (Nov 15), the Land Transport Authority (LTA) and SMRT said. In its first tweet at 8.25am, SMRT said that a "train fault" happened at Joo Koon station. The Singapore Civil Defence Force (SCDF) later said it was alerted to the incident at 8.33am. In a joint statement issued at 11.12am, SMRT and LTA said a train heading in the direction of Tuas Link station stalled at Joo Koon station at 8.18am. A minute later, a second train stopped behind the first faulty train, the statement added. "At 8.20am, the second train moved forward unexpectedly, and came into contact with the first train," the statement said. SMRT and LTA added that they are investigating the incident. Twenty-seven passengers and two SMRT staff sustained "light to moderate injuries", and were taken to Ng Teng Fong General Hospital and National University Hospital (NUH). Channel NewsAsia understands that 10 people were taken to Ng Teng Fong General Hospital and 15 sent to NUH from the scene of the incident. Later in the day, Ng Teng Fong General Hospital received four walk-in patients, with the latest at about 7.30pm. Out of the 15 sent to NUH, one declined treatment and returned home, while 13 others received treatment and were discharged. One passenger is currently warded for observation. Out of the 14 injured admitted to Ng Teng Fong General Hospital, 11 were treated and discharged, while two were warded for observation and the new patient is being treated. "The Ministry of Transport, Land Transport Authority (LTA) and SMRT will remain in touch with the injured passengers and others who may come forward later to offer the necessary assistance," LTA and SMRT said in an updated joint statement late on Wednesday. A spokesman from Ng Teng Fong Hospital said among those injured at the hospital, two were assessed to have sustained injuries under the P2 category. According to the Health Ministry’s website, medical care at emergency departments is prioritised according to four levels. In this case, the category refers to “Major Emergency Patients” who are usually unable to walk. Injuries under this category include limb fractures, joint dislocation and severe back pain. Another eight sustained minor injuries and were assessed to be under the P3 category, which includes sprains and minor head injuries. Facebook user Mei Anne wrote that she was a passenger on one of the trains, and hurt her back as a result of the collision. A platform at Joo Koon MRT station was cordoned off with police tape following the incident. At least 10 emergency vehicles were seen outside the station. At about 2pm, more than five hours after the train collision, SMRT announced that train service between Boon Lay and Tuas Link stations in both directions will be suspended for two hours. "This is to facilitate the recovery of the two trains involved in this morning’s incident at Joo Koon MRT station. We are doing all we can to restore services safely and expeditiously," said the train operator in a Facebook post. It added that free regular bus and bridging bus services are available between those two stations. At about 3.20pm, one of the trains involved in the incident was pulled away in the direction of Tuas Link MRT station. In an update at 5.15pm, SMRT said services between Boon Lay and Tuas Link station "have resumed but are running slower". Commuters were advised to add 10 minutes' travel time between Jurong East and Tuas Link. In an update at about 5.45pm, SMRT advised commuters to "seek alternative transport" or add 25 minutes of travel time for those taking the North-South Line. Free bridging bus services between Bishan and Yishun were available. The delay was later increased to 40 minutes and commuters were advised to take alternative rail lines. The last time that an MRT train collision happened in Singapore was more than two decades ago. That incident, a front-to-back collision between two trains at Clementi station on Aug 5, 1993, resulted in 156 injured commuters. An independent inquiry panel found that the accident was caused by a 50L oil spill from a maintenance locomotive which had been carrying out maintenance work at about 5am on the day of the accident. Following the findings, SMRT revised its operating procedures to require staff to inspect the platform tracks for oil, and in the event of an oil spill, the train at the station preceding the spill will not move off until the train ahead has left the station.